Are you looking for a fresh vacation full of outdoor adventure and scenic explorations? Well, you have found the perfect spot to map out your next excursion right here in Haywood County! The North Carolina Smoky Mountains provide a unique outdoor experience unlike anywhere else. No matter the season, you can always enjoy a variety of mountain adventures right here in Haywood County. 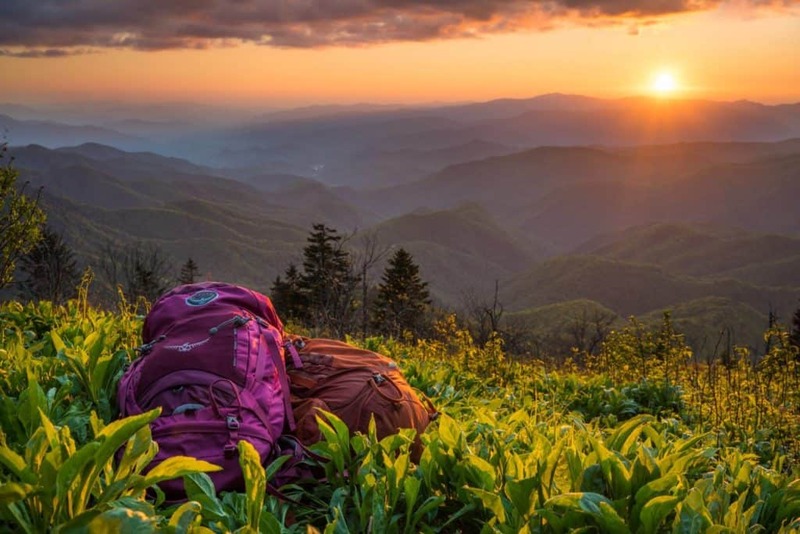 The county is home to a 46-mile section of the Blue Ridge Parkway running along its southwestern border and the Great Smoky Mountains National Park, including historical Cataloochee Valley and the Pisgah National Forest in the northern section of the county. Haywood County offers a wide range of recreational activities including hiking, skiing, fishing, kayaking, farm fresh food, elk watching, mountain music and historical hot spots. The area is also known for its many unique and exciting events throughout the year, so no matter when you visit, there is sure to be some homegrown happenings taking place. The 46 miles of twisting mountain roads that run through Haywood County are one of the most popular attractions in the area. After breakfast head to the Parkway entrance just outside of Maggie Valley and head north toward Canton for an exquisite drive through the Balsam Mountain Range, which is where Haywood’s native bluegrass band, Balsam Range, got the inspiration for their name. Stop and stretch your legs at two of the county’s most popular hiking areas, Graveyard Fields and Devil’s Courthouse, which are sure to inspire you as well! Cool down this afternoon at a local swimming hole, Skinny Dip Falls. Located on the Blue Ridge Parkway, pull off near milepost 417, near the Looking Glass Rock overlook. A moderate, short hike will take you to a natural waterfall and swimming hole on the Yellow Prong of the Big East Fork of the Pigeon River. Take a cool dip or sun yourself on the rocks. If you continue on the trail past Skinny Dip Falls on the Mountains to Sea trail, you will reach Graveyard Fields, where you will find more hiking trails and waterfalls. You must be getting thirsty! Haywood County is the proud home of four microbreweries: Boojum Brewing, BearWaters Brewing Frog Level Brewing, and Tipping Point Brewery and Tavern. Each has its own distinct taste, so spend the afternoon at one (or more) trying their various taps. Order up a frosty flight and don’t forget to grab a growler of your favorite to take home. They say the early bird gets the worm . . . well, so do the trout! Purchase a three-day, $7.00 fishing license to fish in the designated Mountain Heritage Trout Waters in Waynesville and Maggie Valley. This special three-day license can be purchased online at www.ncwildlife.org or by telephone Monday– Friday, 8 a.m.–5 p.m. at (888) 248-6834. Did you forget your fishing pole and tackle box? No worries! Stop by the Haywood County Visitor Center and pick up a free tackle box filled with six lures/flies and you can borrow either a fly rod or a spinner rod. Swing by the Haywood County Visitor Center in Maggie Valley and pick up a Purchase Knob Hiking Guide. This beautifully illustrated map was created by a local certified naturalist and highlights one of Haywood County’s best hiking gems. Purchase Knob offers a wide range of biodiversity and other appealing aspects all encompassed in a four-hour or less walk. Its winter accessibility, summer butterfly and wildflower abundance, and amazing panoramas make Purchase Knob the perfect hike. Easy to Moderate grade. Spend your evening with an adventure to see the reintroduced elk of Cataloochee Valley, most visible during dawn and dusk. The valley is one the most remote parts of the Great Smoky Mountains National Park and is rich in mountain history and beauty. The area is laced with abundant wildflowers and wildlife including elk, white-tailed deer, black bears, wild turkey, butterflies and many species of birds. The tranquil scenery is sure to inspire the inner artist in everyone. With several hiking trails, streams for fishing and preserved buildings from the early 1900s, there is plenty to explore in the valley.